Back in the early 1980s, there was nothing more trick than an air-cooled, two valve inline four from one of the big Japanese manufacturers. During this era a young hot shoe by the name of Eddie Lawson made his meteoric rise to fame by winning the Superbike championship. 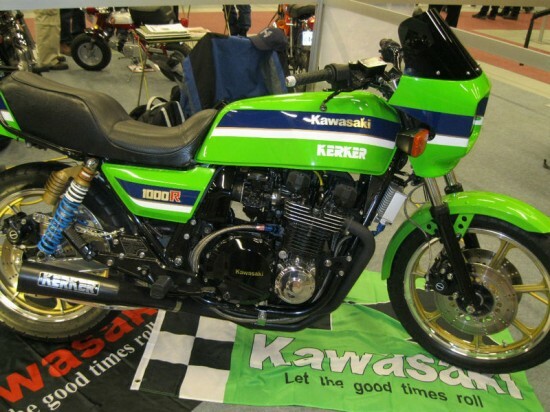 The ELR, or Eddie Lawson Replica, was introduced by Kawasaki shortly thereafter to commemorate the championship and make some noise. 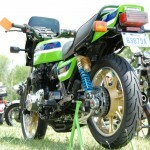 Painted Kawasaki green and sporting a GPz bikini fairing, the modified KZ1000R was fast and surprisingly civilized. Today these make for fine collector bikes that can still be ridden and enjoyed. This particular example is in extraordinary condition given it is approaching 30 years of age. And despite the surgically clean exterior, this bike has more than 30k miles on the clock. Amazing! To be sure, the twin rear piggy-back shocks and wide air-cooled motor don’t exactly scream “modern” here, but back in the day this was the cutting edge technology that was needed to win races. And win Eddie did, in convincing fashion. And who wouldn’t want to be able to ride like “Steady Eddie” Lawson? 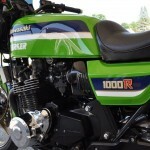 Genuine KZ1000R. 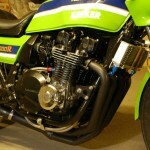 1 of 1200 built in 1983 by Kawasaki, came stock with 4 in 1 Kerker exhaust. Already a collector’s item in 1983, today, very rare and unique. Probably one of the nicest in Canada with 52000 km (31200 miles). 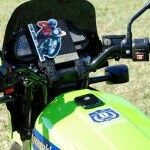 This Eddie Lawson Replica won first place in its category at the 2011 Canadian Vintage Motorcycle Group rally in Montreal in July. This bike is a great collectors item. Engine head has been overhauled at 40000 km with new timing chain and valve seal. Engine is 4 mm oversized, very strong and carbs great, no smoke. 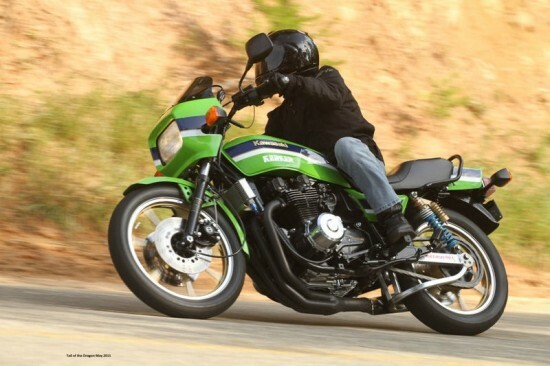 From A to Z motorcycle is in excellent condition, from the owner’s manual to the tool pouch. Beside the wheels, engine and front mud guard, its’ all on original paint and seat. These hot “period correct” parts are fitted and installed correctly. Exhaust system is ceramic coated for durability. Original parts are still in hand and will be included in the sale. 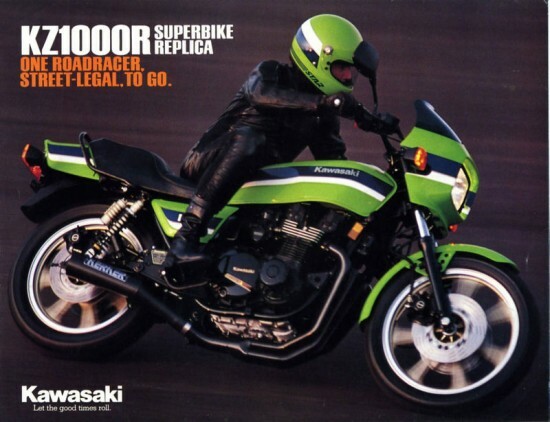 1983 Canadian model KZ1000R serial number: JKAKZCR13DA002198, 1 of 1200 built in North America. The Canadian model differs from the US as it does not have the anti-pollution clean air suction device on valve cover and cluster is in metric. So let’s get down to brass tacks. What is an ELR worth these days? That is a loaded question, as we have seen them all over the map, in every sort of condition imaginable. 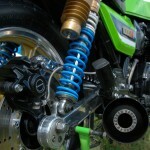 Often times, the condition of the bike dictates the sale price. Most bikes fall into the $9,000 – $12,000 range; exceptional bikes might sell above that mark, and ratted machines will fall below. This buyer is looking for $15,000 or best offer for the machine above. 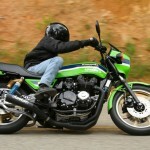 That price is not out of line the ask from sellers with similar condition bikes – but it is getting into rarefied air. There is no doubt that this bike is in exception condition – the curb appeal cannot be denied. The question is if the origin of the bike (Canada, in this case) will affect the ultimate sale price. ELRs were imported into the US legally, so a grey-market ELR is a wildcard. Why don’t you check it out and let us know what you think? Click the link to jump over to the auction. Check out the specs, the pictures and the videos. And then make sure you come back here and leave some comments. Good luck to both the buyer and seller, because this is still one fine looking bike! Next story 1983 Honda CX650T with 56 miles!